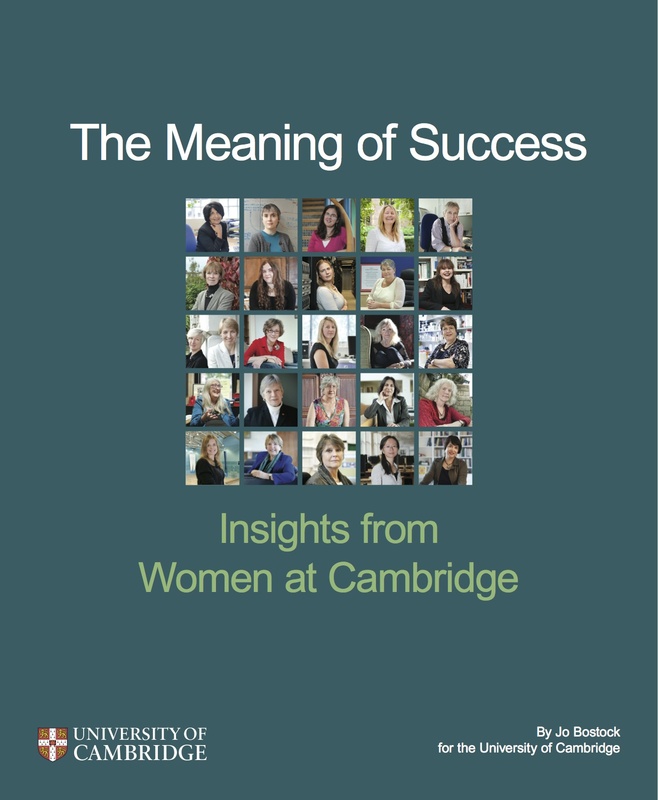 Over an 18 month period I worked with the University of Cambridge on a book called “The Meaning of Success – Insights from Women at Cambridge”. This was published in March 2014 and is one of many activities focused on advancing gender equality at the University. The book features stories and quotes from a wide range of women who were seen as successful role models by their colleagues. In capturing these narratives we were able to question traditional notions of success and suggest ways of making the workplace more inclusive. There is also a clear and robust challenge to those approaches that seek to “fix” women as a way of achieving gender equity. I returned to the University to speak at their “Impact of Gender” event about what I have learnt through being involved in writing the book. Below is an edited version of that speech. “It is 3 months since the launch of the book “The Meaning of Success”, so this is a timely opportunity to step back and notice the messages that have lingered in the memory. So what has stuck? The stories of course. 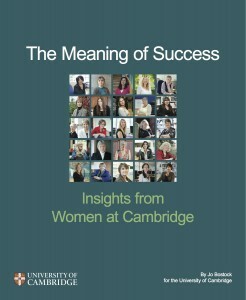 The rich narratives and insights from the 26 women who were profiled and the further 100 who contributed to the book. And what did those stories tell us? Well, they told me that these were not women who needed to be fixed, to be told to become more – or less – assertive, to dress in a particular way, talk more loudly – or more quietly. So much of the historical efforts around gender equity have been “adaptive”. By this I mean they have seen women as the issue and asked them to adapt better – to fit into the system as it is – to lean in, or out, or shake it all about. Well what a damn waste. The intoxicating aspect of the stories in the book – and the privilege of interviewing the women who told them – was their diversity, their range, their scope, their contradictions, their highs and their lows. Why on earth would any right thinking organisation, one that wants to fully realise the talent of its people, then expect them to bend themselves out of shape in an effort to adapt and fit in. The book confirmed all my beliefs around the losses and compromises that come with an adaptive approach. Instead we need to be far, far bolder in our ambitions. We need to change the rules of the game – not fix the people playing it. We need to move away from the framing that talks about gender equity as a “women’s issue”. It’s a leadership and organisational concern. It’s about creating progressive work environments where women and men can perform to the best of their ability. Rumour also has it that men are parents too …and apparently they are keen to have healthy home and work lives …perhaps the agenda is more shared than it seems? This is about organisations becoming human friendly not just female friendly. Part of achieving more inclusive workplaces requires a shift in the way success is defined. How we see success needs to evolve so that it allows for the recognition of a greater breadth of contributions from both genders. Deciding what and who has merit is highly subjective and therefore open to unconscious bias. We must value those who publish in esteemed journals, whilst at the same time recognising and rewarding those who teach with flair, the compelling communicators, the formidable administrators and the unflappable behind-the-scenes organisers. A leading institution needs all of these people and more to thrive. So – change the system. Simple. Well yes and no. The core observation may be simple but achieving the cultural change necessary to realise it is no picnic. But it is doable and it needs to come from you – not “them”. The mythical “them” responsible for all things, the Wizard behind the curtain! Those with greatest seniority may have explicit responsibility for effecting change but actually it is never so clearly hierarchical – human systems don’t work like that and certainly not in a democratic and thoroughly idiosyncratic place like Cambridge. I believe that change is intensely personal. It doesn’t come from policies or procedures – it comes from people. It happens when individuals exercise influence around the things that matter to them. If the University of Cambridge is going to become a more inclusive environment, where both women and men thrive and fulfil their potential, it will come from the cumulative efforts of the individuals here today – and others – exercising the influence at their disposal. You are a pretty formidable crew – the combined brainpower represented here could power a small country, so it can certainly push against the minor matter of 800 years of history. There will always be sceptics, even out and out saboteurs who deride inclusivity as PC nonsense. They will perhaps see it as watering down standards, or diluting excellence. This is rubbish. If you have an environment where only one gender stands a realistic chance of being successful, then you are falling short and being truly wasteful. That really is watering down standards. So what could playing your part mean in practice? There isn’t a single recipe – you are after all a diverse group, with different attributes and different stomping grounds in this fabulously complicated place. So – to mangle Mr Sinatra – do it your way. If you love a soapbox, find one, if you are a persuasive writer – write, if you are a great organiser – organise, thinkers think, doers do. Play to your natural strengths. And change does not have to come from grandiose gestures – there is great merit in the accumulation of “little big things”. You could challenge the use of airtime in a departmental meeting so that it is more gender balanced; when recruiting you could insist on a more expansive search that leads to a shortlist with both women and men on it; you could experiment with more flexible working practices in your area; you could start a meeting 15 minutes later so that people can drop their children off at school. You could also challenge yourself – or your colleagues – to change how administrative tasks are allocated in your department. You could advocate for and sponsor a talented more junior woman – perhaps by helping her to prepare for the promotions process. You could influence the constituency of a committee by actively going beyond the usual suspects to involve the next generation of talented women and men. You could be generous in telling your own story at a panel or in a debate – and by being candid about your own fallibility as well as your achievements – play a small part in making success a more accessible concept; after all that’s what the women who participated in this book had the gumption to do. Their very existence became evidence of what it is possible to be and do. I’ve talked a lot about the necessity for individual effort and agency. But my goodness that sounds pretty isolated. It could also feel like a lot – on top of already punishing schedules. But it need not be so solitary or incredibly labour intensive. Grab a quick coffee or a 15 minute call with a natural ally or friend in another department – shamelessly steal their ideas or offer support. Work out ways of using your existing networks – or expanding them. And not every change has to be associated with a “new initiative”, it could just be doing what is already being done better and more fairly. So push against history. Push against limiting beliefs – your own and those of others. Push for the talent women and men in your teams to get visibility and a voice. Being pushy is frankly an under-rated virtue. As is being perhaps a tad troublesome and intolerant of the status quo. I don’t wish to start a bloodcurdling revolution but maybe a mini uprising. Yes, this is a complex environment, and patience has its place, as does political nous and subtle manoeuvring. But impatience is needed too. We really, really don’t want to be talking about this in the next 5, 10 or 20 years – we don’t want our goddaughters, daughters, sisters, or even granddaughters to think and be “less than”. Cambridge is one of the world’s leading institutions – and you are leaders within that institution – it really is incumbent on you to use your clout to shape how women and girls are seen and see themselves. If not you, then who? Which gives me the perfect segue to the next speaker – the fabulous Anna Watkins. I am lucky enough to work with Anna for charity called the Women’s Sport Trust that looks to level the playing field for women and girls in sport. We ran an event recently where the formidable Clare Balding – another Cambridge alumnus – quoted the marvellous Nora Ephron. So I am shamelessly going to close by plagiarising Clare, plagiarising Nora. This entry was posted in Authenticity, Change, Diversity, Feminism, Inclusive leadership, Leadership, Organisational systems, Role Model on by . There is a lot of talk about the value and importance of role models, particularly in the diversity arena. Stonewall recently published their role model guide, organisations like the 30% Club talk about the importance role models in addressing gender equality in the boardroom and then there is the great work of Diversity Role Models in schools – to name just a few. Role models offer tangible evidence that people who share our gender, ethnicity, culture, sexual orientation, class, disability, religion or other important aspects of our identity are out there and thriving. 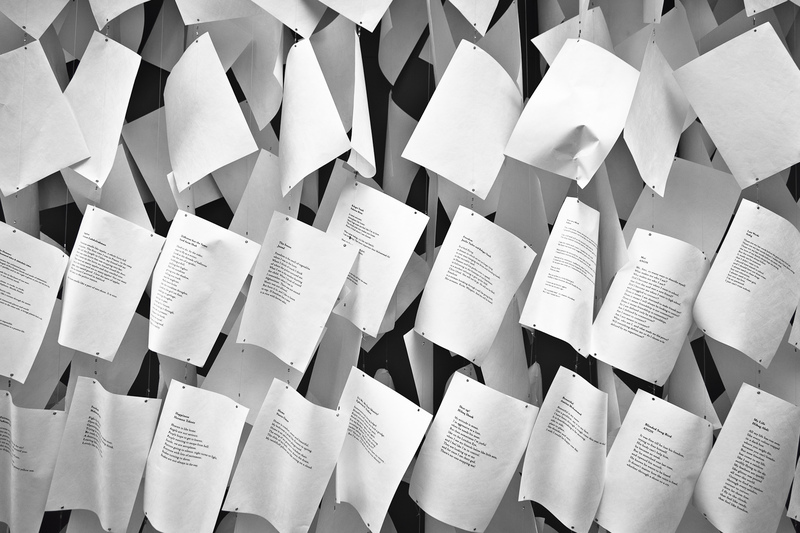 They feed our appetite for stories that prove success does not have to look and sound one way. This focus on role models is a great thing – but the term itself comes with baggage. It can bring with it connotations of infallibility, extreme seniority, perfection, super-human achievement and perhaps even arrogance. It can seem like a precarious pedestal for the few not the many. We tend to find it easier to point to people who have been role models for us than we do to accept that we may be role models ourselves. Until each of us embraces our potential as role models, any progress towards truly inclusive workplaces will be pedestrian at best. We need to reclaim the term “role model”, make it more accessible and then own up to being one. It is an uncomfortable fact that if there are less of “you” in your workplace then you’re going to be more conspicuous. If you are a senior woman in a law firm dominated by male partners, then people will be watching you, making value judgements and also drawing conclusions about what your example means for them. A young woman who has just joined the firm may be scanning for clues about what it takes to get on round there. She will mentally file away how a meeting was run or the dynamics of an exchange with a Board member. She may start to change her own behaviour as a result, or perhaps form opinions about whether this is – or isn’t – the place for her to pursue her career. A male partner in that same law firm could easily reinforce the sense that difference isn’t welcome and he is part of an exclusive elite. But that need not be the case. He could instead be open about his own sense of difference – perhaps his upbringing, schooling, invisible disability or family situation. He could be transparent about how people are promoted, actively sponsor others or quite simply demonstrate a day-to-day receptiveness to alternative points of view. The best role models are very much themselves – they are authentic and therefore not exactly like any other role model. That said there does seem to be some common ground amongst those who are willing to stand up and be counted. They share a sense of responsibility towards others, are at ease with their own fallibility, demonstrate that their behaviour aligns with their values, have a good sense of self-awareness and tend to reflect on their actions so they can learn from them. They also have gumption – a determination to be themselves, challenge the unacceptable and see beyond their own self-interest. They don’t mind that they won’t be everyone’s cup of tea – but know that their example will be useful to some and that’s enough. Role models are ordinarily extraordinary. So this is a call for a New Role Model Army. The more there are of us there are out there, at all levels of organisations and across all sectors, the better. We will tell a richer range of stories and offer more possibilities of being different and successful to our friends, colleagues, employers and the generations that follow us. This entry was posted in Authenticity, Choices, Feminism, Inclusive leadership, Influencing, Leadership, Role Model, Women on by .